To the Editor: Pediatric community-acquired pneumonia (CAP), majorly caused by viral, bacterial and Mycoplasma pneumoniae (MP) infections, remains challenging for all the clinicians to differentiate and formulate treatment modalities, causing increasing mortality in young children [1, 2, 3]. The etiology of CAP is crucial for the physicians to initiate an effective treatment during early stages of pathogenesis of virus, bacteria and MP infections [1, 4]. One of the major hurdles faced by the physicians is to differentiate bacteria-mediated CAP from virus-mediated CAP during early stages of pathogen invasion, which in turn is crucial to prevent overuse of antibiotics [1, 4]. Further, limitations recorded with other clinical diagnostic tests, as well as inconclusive results with the measured Procalcitonin (PCT), C-reactive protein (CRP) and White blood cell (WBC) levels to differentiate pediatric CAP [1, 4] has preceded us to conduct a two year (Jan 2015 through Dec 2016) follow-up examination study for PCT, CRP and WBC measurements in the recruited CAP affected children [n (number) = 590 patients, aged <5 y and > 5 y] from the Shaanxi Province, China. In our study, in compliance with clinical manifestations of CAP, we were able to differentiate bacterial infected CAP patients (n = 152–196) from virus (n = 28–114) and MP (n = 35–65) infected patients based on the measured PCT, CRP and WBC levels. With this pre-determined positive cut-off range of PCT > 0.05 ng/ml, CRP > 8 mg/L and WBC > 10 × 1012/L in CAP patients , we found the bacteria (Streptococcus pneumoniae and Staphylococcus aureus) infected patients of both age groups (< 5 y and > 5 y) showed increased PCT (0.135–0.142 ng/ml), CRP (8.268–9.216 mg/L) and WBC (10.852–11.752*1012/L) levels compared with the virus (majorly respiratory syncytial virus and adenovirus) and MP infected groups. Also, the Mycoplasma-infected patients who showed increased PCT (0.095–0.104 ng/ml) levels compared with the virus infected groups, did not show any significant changes in either CRP or WBC levels. This indeed could facilitate an early diagnosis and treatment of bacteria and/or Mycoplasma mediated CAP over virus mediated CAP. Ngocho JS, de Jonge MI, Minja L, et al. 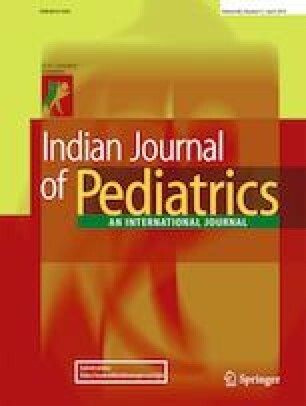 Modifiable risk factors for community-acquired pneumonia in children under 5 years of age in resource-poor settings: a case-control study. Tropical Med Int Health. 2019. https://doi.org/10.1111/tmi.13211. Principi N, Esposito S. Biomarkers in pediatric-community acquired pneumonia. Int J Mol Sci. 2017;18. https://doi.org/10.3390/ijms18020447.